Your frustrated with your reactive dog. You want results. You want your dog to behave. You don’t want to learn another formula that deals with a few of your dog’s issues. You are tired of the frustration and embarrassment. Classes failed, friends offer conflicting advice. Things are getting out of control. 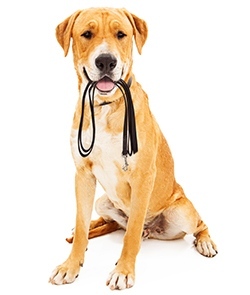 Sometimes, the Working Breed or Behavior classes are not enough to meet your needs. You need a complete ‘solution based’ program. Do you want your dog to calm down around other dogs or people? Stop pulling and lunging so you can enjoy walks? Visit family and friends without worrying? 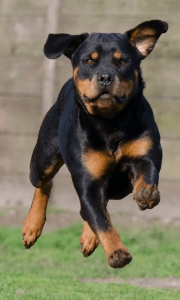 Stop aggression towards other dogs? Visit a boarding kennel, groomer, or vet without incident? Reduce/eliminate your dog’s Destructive behavior? “Reactive” does not mean “aggressive”. Many dogs display reactive behavior are friendly. Many dogs are good with other dogs or people when not on a leash. Or maybe your dog just needs to learn self-control, good manners, and frustration tolerance. A “reaction” is an emotional response, outside of your dog’s cognitive control. It may be a cortisol/hormone problem, or a cognitive problem. It may need medical intervention, or it could just be a lack of confidence, communication, and control. When your dog is in upset or excited s/he is not able to listen. Teaching your dog more obedience commands (tasks) or focus (tricks) will not help the dog to be calm. To solve your problems we need to change your dog’s emotional association with the triggers, to help the dog feel more relaxed and confident. This program is for dogs that display embarrassing outbursts of anger or excitement. What makes this program different from other Reactive Rover Classes? What is the difference? Behavior based therapy works with your dog helping it learn confidence, overcome fears, and build stress coping skills. Each program is customized for your dog’s problems. Dog Training and Reactive Rover programs teach you the most popular ‘tricks and tasks’ that help the most people gain control of their dog, but it doesn’t deal with the underlying problems, just the symptoms, so after a while the problem returns. Once your dog is confident and offering solid behaviors we leave the training center and take the lessons into the ‘real world situations.’ We work your dog around other dogs, and in your home. Our goal is to make sure that your dog is able to give you the behavior you want in any ‘normal’ daily routine, in the training center, at home, and in a public setting. We can work around your schedule. It doesn’t matter whether you have shift work, or other interests. Your training time can change each week. You can go on holidays, take statutory holidays off, or take a sick leave, or take a ‘caregiver emotional break’, without worrying about loosing lessons. You start when you are ready. You do not need to wait until the next class starts. Work At Your Pace. Your dog doesn’t need to work at a set pace. You do not need to understand everything each lesson. If your dog stalls, or plateaus for a while that is okay. The program doesn’t end until your dog passes the Behavior/Temperament test outlined at the beginning of the program. Work Until Your Goals Are Met. All dogs learn at a different pace. How long does this course run? …. As long as it takes! Books/Workbooks/Videos included to help you learn and reach your goals. Free admission at all our behavior workshops and seminars around Southern Ontario. We will work on your ‘presenting complaint’ as long as it takes. This is a potential $2000 – $3500 value for the average dog. We offer this program for $1500.00. Call: 519 902 4739 if you have questions or would like to register. Note: If your dog has aggression issues, or has bitten people, then please contact us to discuss how we alter this program to deal with these issues.